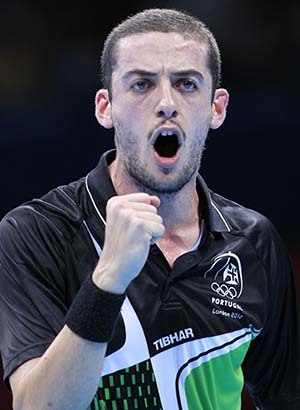 2012 is Olympic year and Portugal's Marcos Freitas came out firing, posting one of the most spectacular matches in the beginning of the year against Roko Tosic in the French League. Since then he has continue to perform in the leadup to the Olympic Games, being one of the first players to qualify from the European Continental Qualification Tournament. Thanks for the interview Marcos and best of luck in London! I started when I was 8 years old in the club where I was living. My father took me to try it because he liked the sport and played also for some years but in an amateur level. I really liked and I kept playing it. I’m happy to say that I had many great moments, it’s difficult to choose just one, I can say that my qualification for the olympic games in London for singles it was a big moment for me. Congratulations on qualifying for the 2012 London Olympic Games. You started the year with some fantastic matches in the French League, is 2012 a good year? Do you feel positive looking forward to London? Thanks, yes it has been a good year, like you said I played really good games in the french league and also in international competitions, I will prepare well for the olympic games and hopefully I will have good results there. What has been the most challenging moment this year so far? I have to say the olympic qualification tournament, its really hard to qualify for the olympics in our sport, it was very challenging. What are your big goals for this year? My principle goal is to improve my level as a player. Rough couple of months for your teammate Tiago Apolonia, are you confident he will still be able to qualify for the Olympic Games? Yes it was hard for him, but I think he will qualify now during the world olympic qualification tournament in Qatar. How did you feel about Portugal's performance at the recent World Team Championships? I think we did a good job, we finished 11 which is our best classification ever, we won a lot of games. Tiago was not playing so we didnt had our best team but in the end Énio and André did a good job replacing him. Who is your favourite opponent to come up against in competition and why? I dont have a favourite opponent. What do you think table tennis needs to be a more popular spectator sport? That's a really hard question, i think we need to have more promotion on the tournaments and also more attractions on the halls, like singers, performers etc. 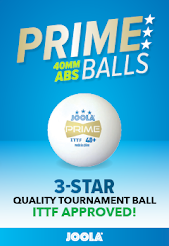 Have you tried the new table tennis ball? If yes tell us what you think of it. I did not try the new ball. Who do you think is the most promising young player in Europe? It’s hard to say, there are many good players and only the time will say who will be good in the seniors. What do you think makes China above the rest of the world standard? China is the best because they have the knowledge of our sport, great material and they also work more. I like to go out with friends, internet, movies. I really dont know, maybe take a nice holidays first and then think what i could do with the money. What advice can you give to table tennis players who wish to succeed? My advice is that if you really want to be a good table tennis player you have to practise a lot. 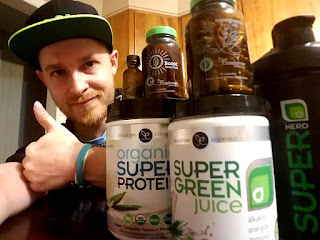 The last member of my team of amazing endorsees at MHTT Blog has completed an interview. The 2007 European Cadet Champion and this year's Romanian National Mens Champion, Hunor Szocs, is moving onwards and upwards as he continues to improve and move up the World Rankings. Thanks for the interview Hunor! I started table tennis when I was 6 years old. My father was singing in a restaurant and a waitress (the wife of a table tennis coach) told him to bring me to the hall, maybe I will like it .. in the end i really liked and I continued. Obviously you also have your sister Bernadette. The two of you both won the Romanian National Championships mens and womens singles titles this year, how much does that mean for you? You must be very proud of your sister too, I know when my sister used to play we were very competitive. Who claims to be the better player? Is not really a competition between us...we are just happy for each other for every success. How has playing the Swiss League been? Has it been a big factor in developing your game so far? How did you feel about your performance at the recent WTTC? Is it stressful to travel so much? I mean you live in Romania, train in Ochsenhausen and play league in Switzerland. Must get tiring! It's not easy but it is also not that tiring. My Swiss club is only 1 hr 30 minutes away bu train from Ochsenhausen and in Romania I am not going that often. Only for holidays and every 2 months maybe a week for University. Are you excited to be moving to a new club? Tell us a bit about the club and your new teammates. It's not so easy to leave from Ochsenhausen. I've been here for more than 3 years so it was a really hard decision. But now I am really excited to move to Bremen. I will also have 2 teammates from national team there, the coach is also Romanian. So I feel that it is the right place for me there. The club where I will play is only 30 minutes away from Breme. Will be a really good training group: Chuang Chih-Yuan, Adrian Crisan, Paul Drinkhall, Constantin Cioti, Achanta Sharath Kamal, Me, Adrian Dodean, Gavin Evans and maybe Jan Zibrat. So I feel it will be the perfect place for me! Table tennis must be a more popular sport for sure. We work really hard! I like to go out with friends, play Playstation and sometimes I really enjoy going fishing with my father when I am home in the summer. If you could describe your teammates in one word what would it be? I really don't know what I would spend it on. I have some ideas now but when you really have this money you are probably thinking in a different way. To be serious, to work a lot and to be patient until the results are coming. I had the distinct pleasure of interviewing an icon of table tennis in the United States of America. 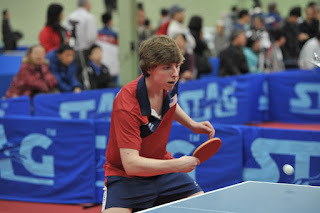 The youngest male ever to win the US National Championships mens singles title at just 15 years of age and now aspiring for a place at the Olympics. Having succeeded at the US National Olympic Trials but narrowly missing out in the North American Olympic Qualification Tournament, he pins his hopes on the World Final Olympic Qualification in Doha. Best of luck Michael and thanks for a great interview. I’ve been playing for almost eight years. I started out when I just turned ten. My start story is pretty funny actually. I was playing a game of hide-and-go-seek with a few of my friends and thought it would be a great idea to hop inside of a trash can outside! So, I jumped in, but I didn’t see the there were wheels on the bottom of it. The can slipped out from under me and coincidentally I put my left arm out to support myself from falling (I’m right handed). I ended up breaking and dislocating my elbow, which pretty much limited me from any physical activity for the rest of the summer. My father and I heard about a table tennis club that was only 20 minutes away from our house, so we decided to go check it out! (We played every night together since I was two, but knew nothing about the real sport) I went there, took a lesson, and immediately loved playing. However, it wasn’t until I was 12 when I solely started concentrated on training. What has been your most memorable achievement to date? My most memorable achievement to date was either winning the Men’s Singles event at our national championships at the age of 15, or recently placing first in the Men’s National Team Trials. My parents have by far been the biggest influence on my career so far. They support me with everything that I do, both on and off the table, and are always there when I need them most. My training schedule usually consists of practicing on the table for 5-6 days a week for 3-4 hours and training off the table in the gym for 5-6 days a week for 1-2 hours. I feel that training physically for table tennis is just as important as the actual practice on the table. You recently had a big campaign to try and qualify for the Olympic Games, how do you felt you performed overall? Many American players have been inspired by your ambition, after failing to make London you almost immediately thanked your fans and set your sights on 2016 Rio. Where does that drive come from? I truly believe that what doesn’t kill you makes you stronger and that failure is all part of a learning process, so whenever I don’t succeed in something on or even off the table, I am always eager to get back on my feet and keep trying to achieve my goals. Do you have aspirations to play professionally outside of the United States in the future? I do want to play professionally outside the United States in the near future, but I first have to talk it over with my parents. If not in the near future, I definitely will someday! 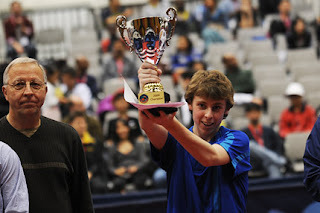 What does it mean to you to be the youngest ever player to have won the US National Championships Mens Singles title? It meant a lot to me to become the youngest ever player to win the US National Championships Men’s Singles title. It showed me that all of my hard work eventually would pay off and gave me a large confidence boost. However, I didn’t let it ever get to my head. Being a good person on and off the court is more important to me than winning the National Championships. 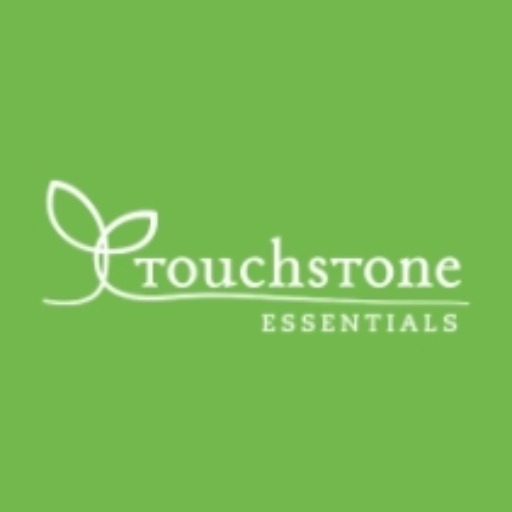 You appear to be a bit of a breakfast guru, how much of your success to you attribute to breakfast and starting the day fresh? I’m not sure if I could be called a “breakfast guru,” but I do take breakfast quite seriously, as should everyone. Starting each day out on the right foot creates a path for success. Breakfast definitely prepares your body for the long day ahead and keeps you going until lunch. Think about it like this; most people tend to get hungry after a meal around four to five hours after eating. After dinner, there is usually more than ten hours until breakfast time. If you skip breakfast, you deprive your body of food for another couple of hours until lunchtime. That’s almost 18 hours straight without eating a single bite of food! What do you think the future holds for table tennis in the United States? I think the future is bright for table tennis in the United States. We have many talented young players that are rapidly improving and will someday turn out to be high-caliber players. However, there are few opportunities in the United States for professional players, so that problem will definitely have to solved within the next couple of years. To be honest I don’t have a single favorite sportsperson or role model. However, I have always idolized Michael Jordan’s passion for his sport and to win. My favorite food would probably have to be…CORNFLAKES! :) haha, just kidding. I love any type of meat, especially steak or lamb. I’d like to definitely visit Australia sometime and see the Great Barrier Reef. Though I’ve been all over the world for tournaments, I’ve never actually been to any country in Oceania. I would probably donate the entire thing to help grow table tennis in the United States. It’s a pity that such a great sport is looked at as just a recreational game over here in the states. And again no other than..Barney Reed. Never give up and follow your dreams! If you work hard enough, success will eventually come your way!